Lord knows the US data market needs a whack over the head and an injection of new ideas. WiMax is one pincer. Virgin Mobile could be the other. 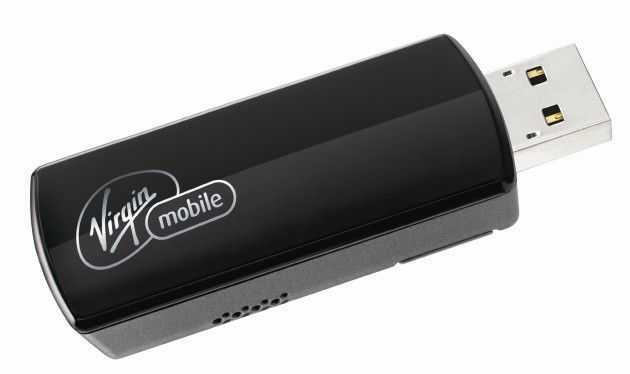 Virgin Mobile Broadband2GO is a pay-as-you-go broadband service on the Sprint EVDO Rev A network available in 10-day or 30-day long packages. Overall the cost per MB is probably higher than other services and certainly higher than in Europe but this is just the start of it. Giving flexibility to test out mobile internet or to use it when away for business trips and pressuring the big carriers to re-think their stupid $60 / 24-month contracts. It’s great news. I hope it’s possible to buy a SIM without having to buy the dongle. A MiFi option might be interesting too. I’m over in the U.S. in Sept so I’ll probably be needing this. When the service goes live later this month you’ll be able to purchase a Novatel Ovation MC760 USB dongle for $150 sans contract. Pay-as-you-go VM Top-Up cards can be purchased in the following increments: 100MB, 250MB, 500MB and 1GB. Here’s where it gets a little confusing; 100MB will cost you $10, but you have to use that within 10 days. For $20 you get 250MB, 500MB for $40 and 1GB for $60, which have to be used within 30 days. Maybe AT&T will reconsider a more flexible GoPhone option now. Virgin Mobile USA offers Broadband2Go service with no contract. No one else is selling pre-paid 3G broadband in the US?! What about in Europe? In Australia, all the mobile operators (as well as several MVNO) have been selling pre-paid wireless broadband for a while now. Verizon offers a MiFi unlimited day pass for $15. You still have to buy the MiFi from them at the unsubsidized price. That’s about as close as we get to a pay as you go option with a MiFi AFAIK. I’d love for US carriers to come out with more flexible data plans. Whether the VM plan will prod them there though is questionable. I don’t like that the bandwidth you purchase expires. It still strikes me as expensive. Then again, data plans in the US seem to be expensive, period. often the US has to pay more for the samething simply because “they can afford it” as it helps offset the much smaller profit margins in less developed/wealthy countries. does it seem ridiculously unfair? thats because it is. it’s a very similar business model that the medicine industry has. sell your product to other counties for 50x – 100x less & gouge your own citizens living in the US. Not exactly, other countries have price fixing, the medicine industry would charge more but those other countries will ignore their patents and allow the sell of generic versions of their drugs. So rather then having a generic drug company get the money, they would rather sell it at a cheaper price, at the same time they are not making enough money from those other countries to cover R&D and marketing so they do charge more to countries that don’t have these laws. 1GB a month, please, give me a break. $60 a gigabyte is crap. Cricket gives 5GBs for $40 a month in select markets. The Mifi daypass with Verizon is more reasonable. A Virgin Mobile USA version of the Mifi would be OUTSTANDING. But, I’m hoping Cradlepoint will offer this device on their compatibility chart soon. It’s a variation of the Novatel USB760, so hopefully it will be supported quickly. I’d rather have the Mifi, but if what it takes to have a low-cost no-contract WWAN-to-Wifi device is to do it via Cradlepoint, that’s rather attractive to me. I’ve been really happy just tethering my blackberry to my laptop. I have a few verizon mobile modems and they don’t seem to be as fast as direct tethering my phone. It won’t be long before everyone can just plug into their phone and have unlimited data usage. I look forward to the day when I don’t have a 5GB limit, but for now I only use 1-2GB /mo max. « LonMID M100 Atom-based Phone is Official.